More and more shops, museums and amusement parks are working with a digital till system. 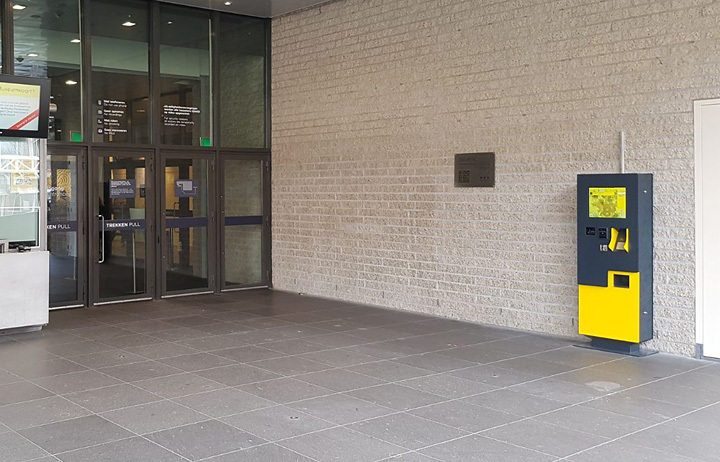 The Van Gogh Museum too now sells its tickets with a self-service kiosk from diz. This attractive kiosk is placed outdoors, so that visitors can immediately buy a ticket when they arrive. This gives them faster access to the museum, because they avoid the queue for the staffed ticket desk. This outdoor self-service kiosk was installed on the commission of Syx Automations. Syx Automations provides software and computerisation solutions. The kiosk has a 19” LED high-bright monitor, so the message is clearly visible in all weather conditions. The kiosk also has various built-in components, such as a ticket printer, a payment terminal and a scanner. The Van Gogh Museum holds the largest and most varied collection works by Van Gogh in the world: 200 paintings, over 500 drawings, 4 sketchbooks and almost all of his letters. The world-famous museum displays Van Gogh’s work in conjunction with that of his contemporaries, his inspirations and the artists who came after him.